This year we've hosted two Christmas parties and after December is over will have attended three other ones as well. It's been crazy hectic awesome. Therefore, my brain has stocked up on party ideas. Of course I'm going to share them with you! This is as simple as it sounds. In preparation for this game, I made a list of Christmas related things/actions/whatever for people to act out. It can be anything you want, but here are some good ones to get you started. I cut them up into strips of paper, folded them, and put them all in a big bowl. You divide your guests into teams (it works best with at least three or four on each team). We had two teams but you could do it with three or four, more than that might be a bit much. One person from Team 1 stands up to do the acting, and the rest of Team 1 guesses what they are acting. There is NO talking or pointing at objects in the room. Since some of these are pretty easy to guess, I timed them for 45 seconds and gave them 1 point for each one they got during that time limit. So sometimes a team would get only 1, sometimes they could get 4. After Team 1 goes, the bowl passes to Team 2 and their first person acts. When the bowl gets back to Team 1 the next person acts so everyone gets a chance to do the acting. You could either play to a certain number of points, such as the first team to 25 points wins, or you could play until you run out of pieces of paper in the bowl and count up the total points. OR you could have the guests come up with the words/phrases. Have each person make up 3 or 5 separate ones for the bowl, depending on how many people are participating. The phrases can be up to three words. You might have to set some ground rules such as no foul language, no vulgarity, etc. It's hilarious to see what people come up with. Or, if you don't want to stick with charades (some of those would be HARD to act out! ), you could make the Christmas songs into "Humdingers". This was my favorite game we've played this holiday season. If you've ever played the game Cranium, you know what a Humdinger is. This could be played the same way as the charade games, and you could use the song list above. Let me tell you, this game gets pretty hilarious. Especially when people start furiously humming as fast at they can. If you don't want to act OR hum, this could be the game for you. You could use the same list for the first charades game, but play Catchphrase with it. You could play it like the charades games, or you could all sit in a circle and have every other person be on the same team (boys vs. girls is always entertaining). Then you can just pass the bowl around. Whoever has the bowl draws one out and has to describe what's on the piece of paper without saying the words on it and without using motions. Once it's guessed, the person passes the bowl clockwise. If you play that way you can set a time limit of a minute and a half or however long you want to play before the person holding the bowl has to stop. A kitchen timer would work nicely. Whichever team is NOT holding the bowl when the timer goes off get's 1 point. This is a classic game that most people know but may call it by a different name. This definitely takes some prior planning and you have to let everyone know about it when you invite them to the party. 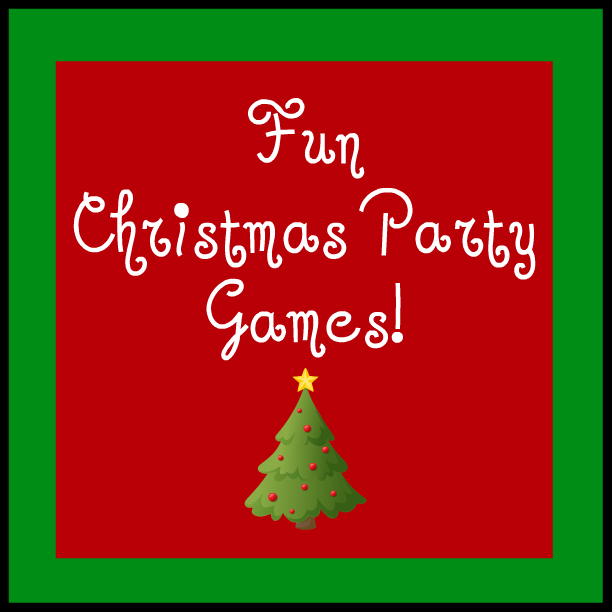 We play this every year at Jordan's annual Christmas party and at his grandma's house on Christmas Eve. To play the game, you count how many people are participating and make that many numbers to put in a bowl. So if you have 18 people, you make pieces of paper with numbers 1 through 18 on them. You pass the bowl around and everyone draws a number. Number 1 picks out a gift, unwraps it, shows it to everyone. Number 2 can either steal Number 1's gift or pick a new one. If Number 2 steals 1's gift, 1 picks a new one and shows it. The round is over. It's Number 3's turn. Number 3 can either steal 1 or 2's gift, or pick a new one. If Number 3 steals 2's gift, 2 can either pick a new one or steal 1's gift. 2 can't steal his gift back, it has to be a different gift. If 2 steals 1's gift, 1 can't steal anything because everything has already been stolen that round. Nothing can be stolen twice in one round. That might be confusing, but just remember when the next number is going (4) it starts a new round. A gift can only be stolen 3 times, then it's "dead". No one else can take it, ever. The game is over when the last person takes a gift and their round is finished. So far this year in Dirty Santa I've won a $15 Subway gift card, batteries, and a $5 Target gift card. We'll see what I end up with on Saturday! 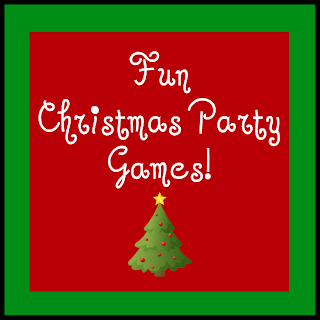 Do you have any other ideas for Christmas party games?Please leave them in a comment, or leave a link to your blog post about games. I'd love to know more and I'm sure other readers would too! All you need are sturdy paper plates and pens for each player. 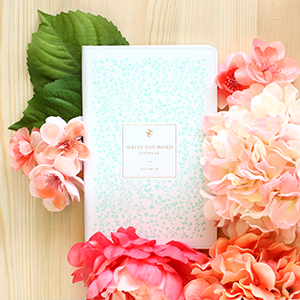 really cute idea, i am going to use this at our ladies meeting Dec. I love all the games but especially like the Christmas plate drawing game. I love Christmas charades! We play them every year! We also always do Christmas trivia! :) I'm getting so excited! I hope you have a great Christmas! Lauren, what exactly is christmasn trivia? Do you have instructions or game quesions? Anything to help us understand or know how to play? Best mixer ever! Make out slips of paper with carols, or Christmas songs...each song has two slips.When everyone has arrived, have them draw a paper. The object is to go around the room humming your song until you find the person humming the same song. Then begin singing it together. Very fun. One holiday cheer "game"! Set a bowl or cup on a table for everyone invited (I usually use ones that are for take home gifts). Make place cards with each guests name and place it in front of the cup. Have pre-cut slips of paper and pencils on the table (the more paper the better...just in case a mistake is made). Everyone then walks through the line and writes one complimentary word or phrase for each person attending and places it in their cup (only positive comments are acceptable, after all it is meant to be uplifting and spread the cheer!). At a set time, everyone picks up their cup and retreats to a central location with everyone gathered around. (we like the fire place or fire outside) Each person takes a turn and reads two to three of the phrases that are placed in their cup. It is amazing how heart warming this can be and sets the cheer for the holiday! just saw one posted where they did a pin the bulb on the tree.... big tree mad out of construction paper and the bulbs were in red construction paper... i suppose this could be a little more creative, but perhaps if its a family gathering this would be cute for the children......I am sure it could changed up somehow to a clever adult one... Merry Christmas! I used your idea for Christmas Catchphrase at my family's Christmas party this weekend. It was a hit and we had so much fun. Thanks for posting these great ideas. I'm not tech-savy enough to figure out how to attach it here...but I just created a game: Christmas Catch-Hum-Ade with 45 clues in each of the three categories you mentioned above. We'll play three rounds. In each round teams will take turns to guess the clues. Whoever's up will have 1 minute to get as many points as they can. Round is over when the clues are all gone. Lucy, I like your idea. We do a "Santa Swap" (as well call them) every year, and this is nice "twist" to a popular favorite. I like the stealing... kind of like the Santa Swap... when the music stops, the person with no gift can choose to steal one of the opened gifts OR one of unopened? If they steal, the person from whom a gift was stole is "back in"? I am trying to think this out.... do you have any thoughts? Super fun idea, though! Each member playing gets a toothpick. You form 2 long lines of people that are playing. You can have as many lines as you want. The first player has to put a lifesaver on their toothpick and pass it to the next person without using hands. First team to finish is the winner. It is very hilarious. I had Church Men and Women,s Christmas supper at our home. We got 4 couples, gave each couple a roll of wrapping paper, tape, and a roll of ribbon. First tocomplete wins. The man gift wraps his wife, and make a bow, not easy for men, ,,very funny, first couple to finish wins. On the hot potato gift exchange how about just like musical chairs and when the music stops take a gift from the circle and put it on a table near b.y the one without a gift is out and moves away the last two people playing and the one that losses can choose any gift from the table and before everyone leaves the party they can get a gift from the table. Go to dollar store and buy 25 gifts. Put them in a Christmas plastic bag. Have someone go around the room with the bag and have each person pick a gift without looking. After everyone picks one, they have to come with as many uses for that item (the more creative the better). Whoever has the most uses wins a prize. Everyone else keeps the gift they picked. You can use this for any season of the year party. They are all free, fun and printable. For some folks it they may be just the ice breaker sort of thing they are looking for. And Merry Christmas to you. One of our churches favorite games is called "what if" ,"then" game! I've never seen so many distorted, beat red, joyful, laughing faces in my entire life a group party. This is a must game for everyone. Now everyone places this paper in a separate bowl. Now step 3. Go around everyone and have them draw from each bowl a random"what if, and then paper. After all have been drawn and everyone has a complete phrase to read zero go around and have everyone read their phrase out loud... You will end up with some random sentence that will be sure to make you laugh!! It's absolutely hilarious and fun!! !